*Only if your F30 has halogen low/high beam bulbs. Please ensure your vehicle does NOT have HID bulbs. There are many car enthusiasts that desire the white, or blue HID (high intensity discharge) look. Many people go to great lengths to achieve this desired look, from buying a HID conversion kits to retrofitting projectors to attain the desired beam pattern. There are very many alternatives to achieving the HID look, and many choose to take the cheaper route which is the HID look bulb replacement. 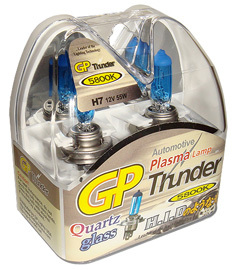 These HID look replacement GP Thunder 5800K bulbs are a great alternative to actual full HID conversions.